You Save Time – By going back into old content to find ways to repurpose it, you’re saving yourself time. You save time from stressing, from wondering if something is going to land with your audience well, and you save the time you’d be putting into brand new ideas. 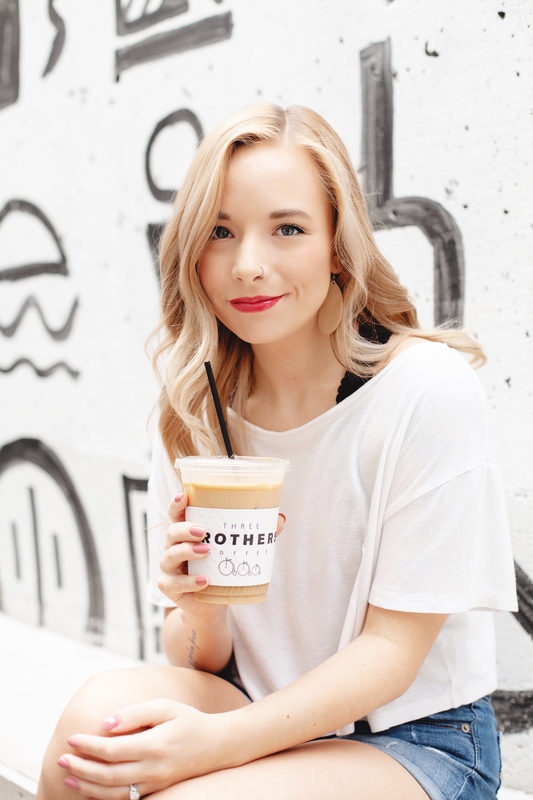 You Build Consistency & Credibility – When you rediscover content that was received well for your blog and then you create more from it, you’re creating consistency and credibility for your blog. You know what your focus and mission are for blogging and you’re excited to build on that by reworking old content. It Boosts Your SEO – When you add in links to older and relevant blog posts into your new ones, it boosts your SEO. 1. Write A New Blog Post As A Follow-Up To An Old One // This is definitely one of the most popular ways (and one of my favorite ways) to repurpose old blog content. When I go into my analytics or comments section and see that a certain post did really well and continues to, often times, I’ll write a similar post to it. This can be a follow-up post or a completely new post but on the same topic. For example, in 2016, I wrote this blog post: How To Come Up With New Blog Post Ideas. After going back through old posts and seeing how well that one was received, I did a bit of a follow-up to it: How To Generate New Blog Post Ideas. 2. Do A Round-Up Post Of A Certain Topic // If there’s a certain topic you’re a pro at, it’s key to revisit them to reintroduce them to your readers! You’re picking up new readers all of the time and chances are, they probably aren’t going back and reading all of the blog posts you’ve ever written. So, bring the best content right to them. If you’re a beauty blogger, round-up your best blog posts on drugstore makeup. If you’re a travel blogger, round-up your most-pinned travel blog posts. The best part? 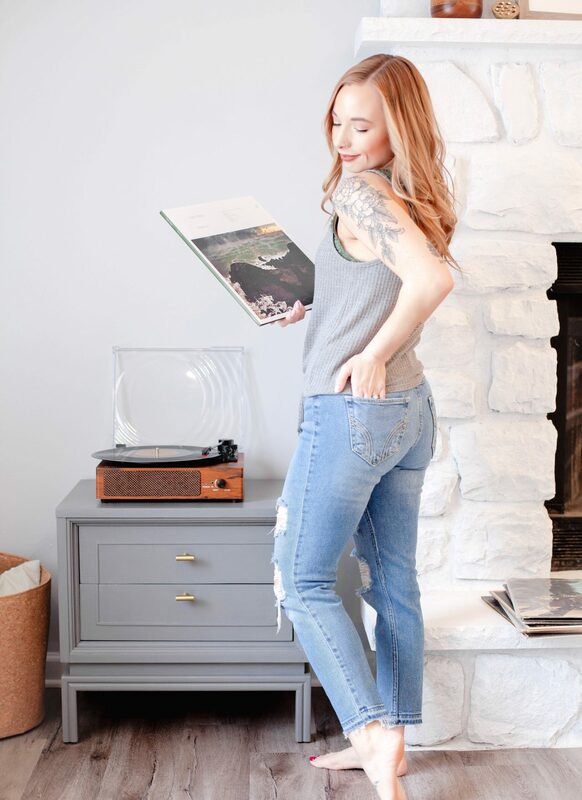 By bringing your oldies but goodies to your new readers, you’re also opening the door for even more readers to come to you when they see that new round-up post floating around, especially on Pinterest! 3. Integrate Old Content Into An Email Newsletter // Not sure what to write for your next email to send to your email list? Don’t fret! 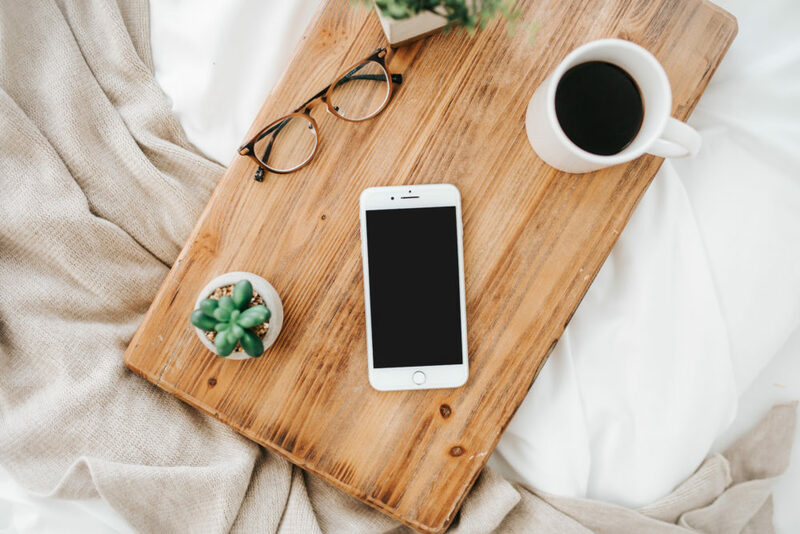 Look back at your old blog posts and see what topics you’ve written about in the past that could be reworked into your newsletter. This also works vice versa! As someone who struggles with brainstorming content for my email list, this tip has come in handy many, many times! I know that it can be nerve-wracking to jump into a video of any kind in front of your audience, but it really is rewarding! The more your audience actually sees you and hears from you, the more excitement trust you’ll gain from them. 5. Turn It Into A Product (Freebie Or Paid) // It doesn’t matter what kind of blog you write, there is a way to turn your past content into a product. Some popular product options: printables, e-book, course, email course. Readers love freebies so I definitely suggest giving away freebies before trying to turn a profit on certain products. Giving things away for free, like printables or short e-books, will help to establish credibility and trust between you and your audience. If you’re going to repurpose old content to make it into a paid product, it’s going to take time! 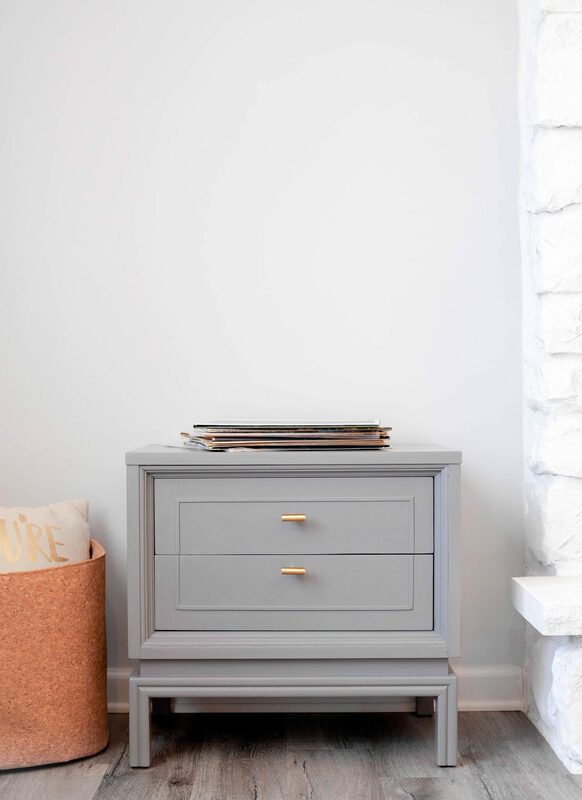 If you choose to do this, you NEED to make sure that you’re actually providing factual information that’s worth buying… AKA: not stuff that can be found anywhere on Pinterest. 😉 Yeah, I went there! 6. Share It Again & Again // Chances are, you probably have some evergreen content that is still relevant today. So, what are you waiting for? Go back and start scheduling shares for them. Pro tip: For holiday content, start sharing it on social media a month or two out from the holiday itself – that’s when people start searching for ideas, especially on Pinterest. 7. Create Brand New Pins // If you’re a blogger and you haven’t tapped into the wonders of Pinterest yet, you have to. Pinterest is your BFF because it’s a search engine. You need to always go back be creating new pins for old blog posts. Yes, always! This is something I have gotten really serious about over the past 2 months and it’s been so rewarding for me. It takes just a few minutes to create a new pin to start pushing older content in a new way. Make at least 5-7 new pins each week for old content and I promise, you’ll start seeing more traffic and new readers because of it. 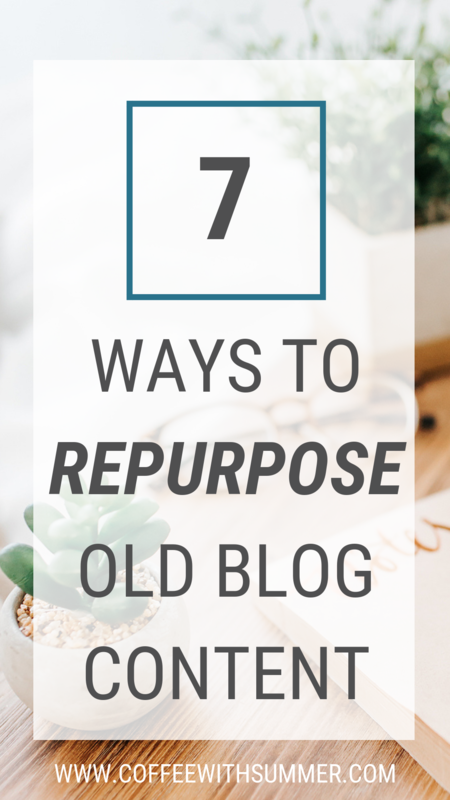 Do you repurpose old blog content? If so, what’s your favorite way to do so? Let’s chat!